EYEKO BLACK MAGIC MASCARA. | Life Looks Perfect. Morning folks. A new mascara is on the block today and it has been working it's way into my favourites collection. 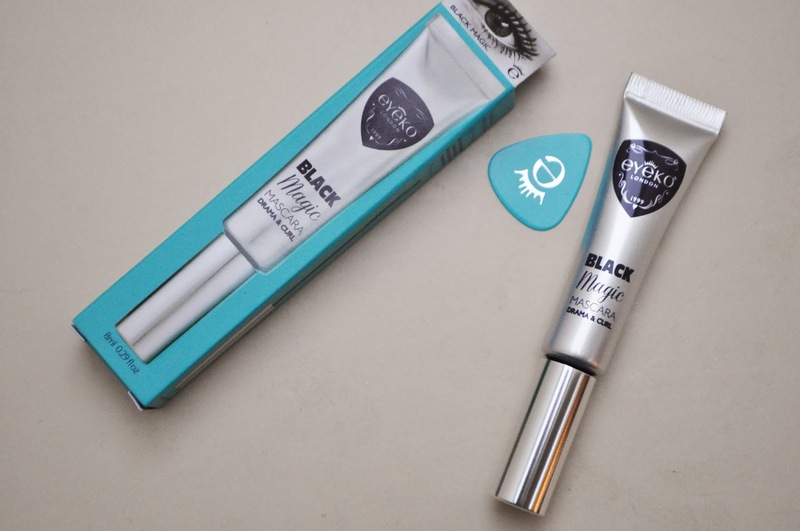 Meet Eyeko's Black Magic Mascara c/o. Bought for me by Jess for Christmas, I was surprised to see this in my stocking and what great pick it was! I haven't really heard of Eyeko before, only that I received a sample of their eye liners in a Glamour magazine once I think. Unknown to me previously, Eyeko used to be a very affordable drugstore brand, that has now re-branded and gone for the high end market. I can understand why to an extent, as the product does have the feeling of a high end product with it's simple packaging and the product inside is fantastic and from my own opinion, it almost seems to good for the drugstore. However, I can't comment on how different the product is now but I do think it is a great mascara. Incorporating three key elements from their core mascara range, this mascara promises 'drama, volume and curl'. I think it does these three things easily, although I am never quite sure how dramatic eye lashes really can be hehe. This mascara is also water-resistant, which for me is a new addiction and very useful when your suffer with early stages of hay fever, like me. I must say that this mascara impressed me. It has great will power in keeping your lashes curled throughout the day along with a gorgeous deep black colouring. 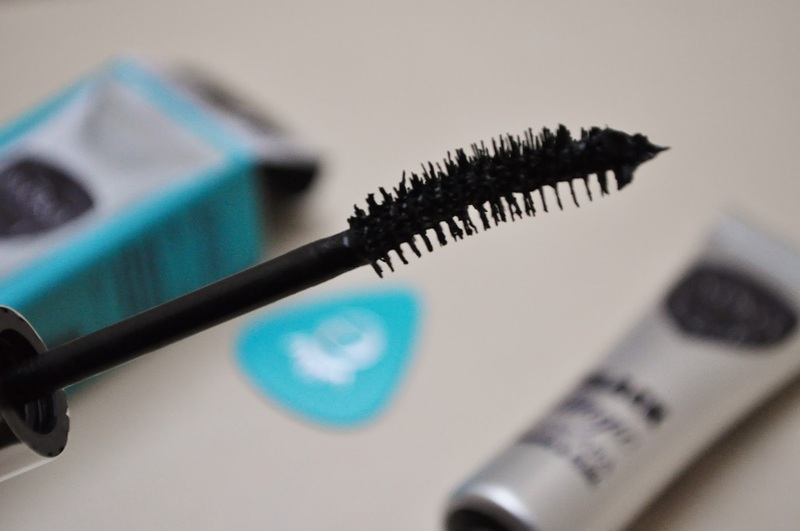 The mascara wand itself is a great size for my lashes, as I have actually been blessed with fairly long fluttery lashes that just need a good old lift and curl. This brush gets right into the inner corners, leaving you will the perfect curl after a few applications.